Today’s review of the GV62 has been quite surprising. Although this is clearly an entry-level machine, it still offers a good deal of performance in the direction of gamers. Right across this laptop we have a great selection of features and functionality. Intel’s Kaby Lake 7300HQ is at the beating heart of this unit and it offers solid quad-core performance, while the 2GB NVIDIA MX150 tackles 3D-based operations reasonably well. We do have USB 3.1 missing on this laptop, but there is still a good assortment of USB 2.0/3.0, video out and SD card slot reader. One particular area which we were very pleased with is the inclusion of a PCI-Express driven M.2 SSD. Many laptop designers leave low-mid end systems with SATA-based SSDs in order to cut costs but GV62 includes a super-fast Toshiba drive which is capable of up to 2000MB/s. By having the 2GB NVIDIA MX150 inside GV62 there are some obvious limitations compared to models under the GTX portfolio. Most triple-A gaming titles will require the detail preset to be lowered in order to enjoy playable framerates but with less demanding titles like CS:GO and DOTA 2 1080p with high detail presents no problems at all. GV62 can be purchased for around £750 GBP in the UK and we have no pricing currently for the United States. There has been some significant price drops recently in the Black Friday Sales, and come January 2018, this laptop may feature in some of the New Year deals too – so it’s worth keeping an eye out! 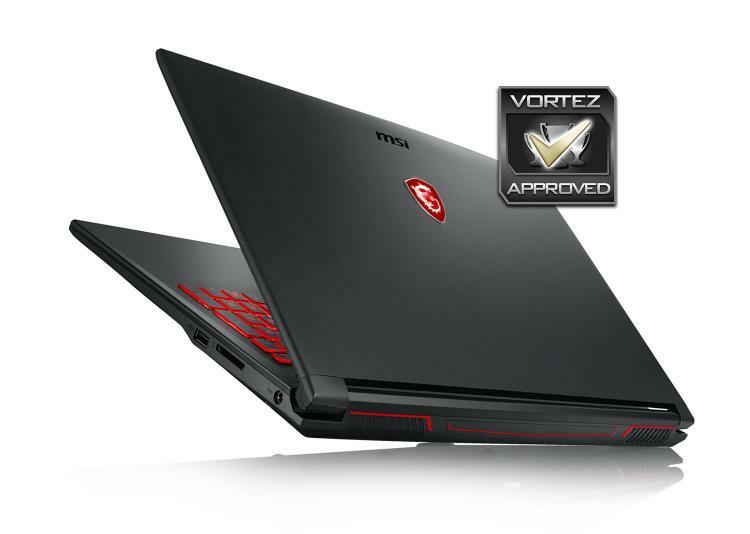 If you’re a light/casual gamer or even a student then MSI’s GV62 will be the ideal laptop for those wanting to keep costs down while still enjoying a reasonable gaming experience. This laptop comes with plenty of features, including fast storage and an LED backlit keyboard.